The all-new fifth generation 2017 Honda CR-V has come in hot, featuring a fresh new design. A bolder exterior design that is slightly wider and longer, enhanced levels of standard equipment, stand-out interior spaciousness, and improved ride with lower noise levels. The new CRV is a well-rounded crossover with many styles and strengths that will have all South Africans biting at the bit to get inside one. There are four models available with two engine choices, the 2.0-litre and 1.5 litre turbo petrol. The 2.0 litre models are available in Comfort and Elegance trims and the turbo 1.5 litre models are available in Executive and Exclusive trims. The base engine (2.0 litre) delivers 113kW at 6500 revs and 189Nm at 4300rpm. The 1.5 litre engine with direct-injection turbo petrol four borrowed from the new Civic delivers 140kW at 5600 revs and 240Nm from 2000-5000rpm. The base 2.0 litre Comfort models features halogen headlights, low-mounted fog lights, LED daytime running lights and 17” alloy wheels. Inside you will find the interior trimmed in fabric, with a 12.5cm centre colour touchscreen with 4-speaker audio system. USB and Bluetooth connectivity allows for music streaming and hands-free phone calls. Side and curtain airbags, hill start assist and rear-view camera are available in all models. A driver awareness system monitors the frequency and severity of steering inputs and warns the driver to take a break, another feature that is standard in all models. The Elegance features, in addition to the Comfort, include leather interior, heated front seats and steering wheel paddles to change gears with. The 1.5 Turbo Executive offers 18” wheels, panoramic sunroof and cornering lights. 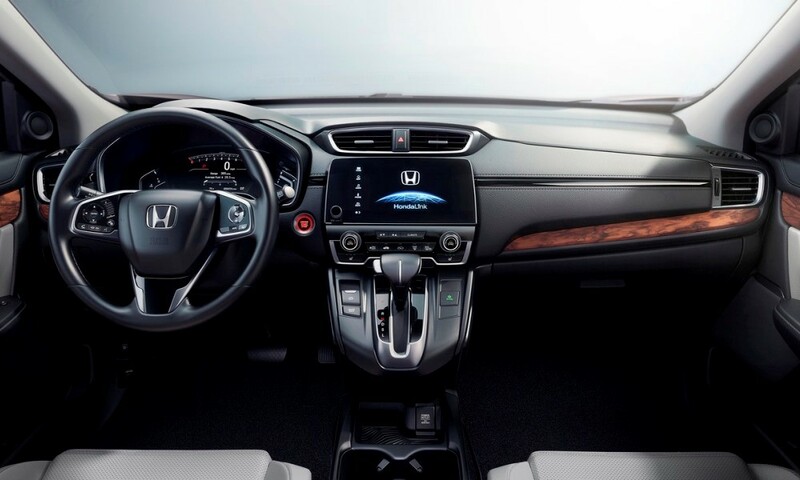 The Exclusive model in addition features Hondas sensing driver assist system, lane watch and tyre pressure monitor. 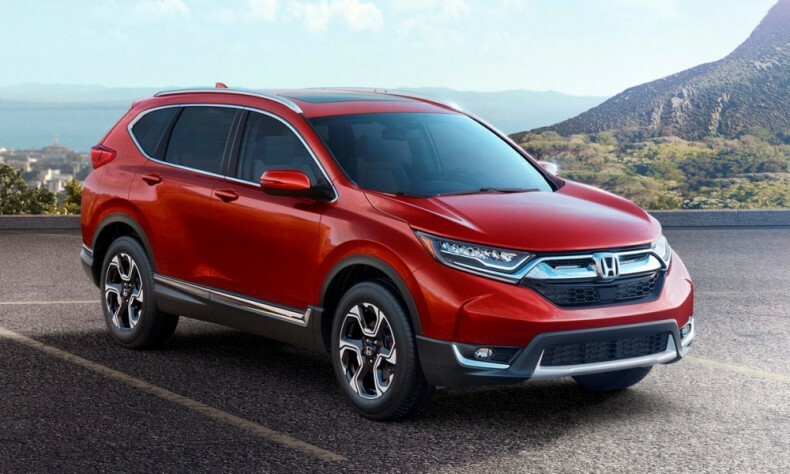 If you would like to test drive the all new Honda CR-V and see it for yourself, contact your local Honda Dealer.